Cape Town – Eskom has told Parliament’s portfolio committee on energy that the National Energy Regulator of South Africa’s decision on a tariff proposal for the power utility was based on a number of assumptions which will leave the parastatal worse off after difficult economic times. Eskom wanted a 19.9% tariff increase for the 2018-19 financial year, but instead, Nersa granted a 5.23% increase in December last year. Eskom reportedly planned to request a 30% hike in the next financial year. Nersa had more bad news for the parastatal, proposing a 6.84% increase for municipalities supplying residents with Eskom power. Eskom had wanted 19.9%. 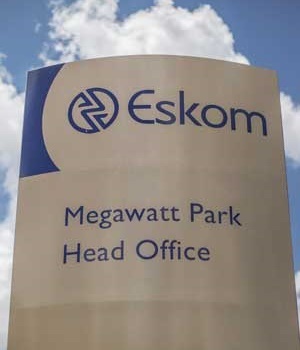 The energy regulator did not hold back on criticising Eskom for its inability to collect revenue efficiently, leading to challenges that have driven the utility to apply for further tariff increases and even impose power interruptions to municipalities defaulting on payments to the power utility. Eskom acting CFO Calib Cassim said the energy regulator should take into account current coal costs and the company’s current contracts to make a meaningful consideration when setting tariffs for the utility. “Nersa assumes that Eskom should have free cash flow of more than R32bn at the end of the 2018-19 financial year. It is based on untenable cutting in costs and repayments. This is in contrast to evaluation by investors, credit rating agencies and Eskom’s own projections,” Cassim said. Cassim said Nersa was shifting the goal posts for the power utility's spending and income, making it more difficult for Eskom to make its own pertinent projections. He said Nersa also undermined the confidence Eskom believed it had won back from credit ratings agencies. “Nersa has assumed that Eskom could automatically close down two power stations, reduce staff by over 6 000 employees, and cut costs by approximately 10% - all from April 1 2018. The [tariff] decision is based on a variety of references as far back as 2008. A variety of escalations in many cases, decreases from existing levels, particularly costs, are removed in their entirety in certain instances,” he said. “There is information provided [in our proposals to Nersa] that is not linked to the summary decision [that Nersa made], such as Nersa analysing Eskom's controllable and uncontrollable costs. Information has not been extracted correctly and Nersa assumes Eskom will build 3 064km of line, but Eskom plans to build 596km,” he said. He said the price increases granted over the last two years exerts pressure on Eskom’s stability as well as its ability to provide electricity. “The price increase for the 2018-19 financial year covers the growth in independent power producers. Of this, 3% goes toward IPP costs. “We have earnings before interest, tax, depreciation and amortisation of R30bn due to the tariff increase and a decline in sales offset by cost containment measures.